Lighting: Variable light color (LED). Diffusion modes: Different possibilities. Diffusion up to 15 hours in continuous mode. Spread area: 300 sq. ft.
With this principle of cold diffusion on water, we have discovered the great interest of hydrosols as a support. It becomes possible to combine every shade of the aromatic plant’s palette. Ultrasonic nebulizers offer a whole new potential of aromatic creation. You can create a synergy of hydrosols and essential oils to find the plant’s total aroma. 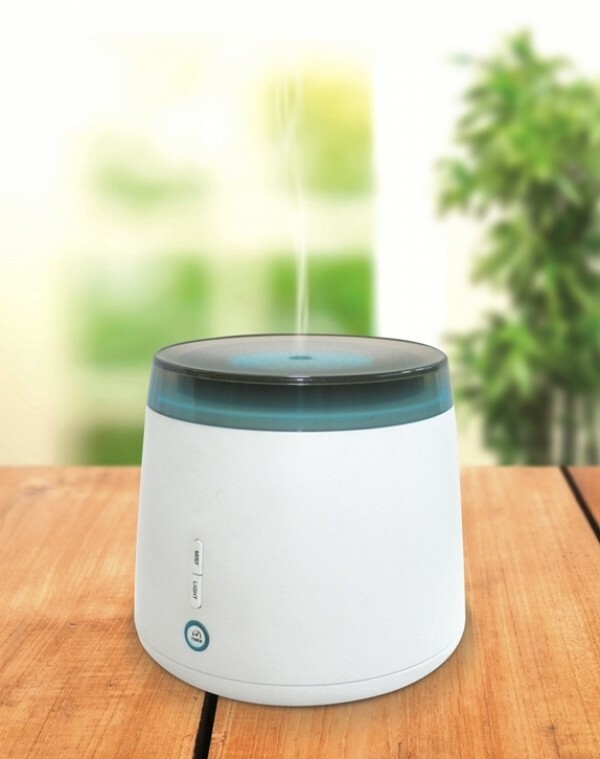 Furthermore, ultrasonic nebulizers don’t burn essential oils, as do so many diffusers. So you can benefit from all of their therapeutic properties. Please feel free to improvise with associations between oils and hydrosols of different plants. So many recipes characterized by a new mildness remain to explore. Balsam Fir hydrosol is compatible with every essential oil! It is happily matched with everything you feel like diffusing to add a gentle touch for your respiratory ways. 15 drops of essential oil(s). It is recommended that you use filtered or distilled water as a base. For clean up, DON’T immerse device. Pour a mix of water and vinegar (50-50) into the tank and let stand for a couple hours. Remove residues. The few recipes given here are only something to start with.